FACTORY CERTIFIED AND INSPECTED AND PROTECTED WITH 7 YEAR/100,000 MILE WARRANTY - 1 OWNER VEHICLE - BRAND NEW TIRES!!! 3.6L V6 ENGINE, POWER DRIVERS SEAT, 18 ALLOY WHEELS, POWER WINDOWS/LOCKS, SPEED CONTROL, AC, 5.0 TOUCHSCREEN, AM/FM/SIRIUS SATELLITE RADIO/BLUETOOTH COMPATIBLE, PLUS MUCH MORE............................PRICE INCLUDES $1000 FINANCE REBATE - MUST FINANCE WITH WASECA CHRYSLER TO QUALIFY!!! FACTORY CERTIFIED AND INSPECTED AND PROTECTED WITH 7 YEAR/100,000 MILE WARRANTY, NEW TIRES - 1 OWNER CHRYSLER CAPITAL LEASE RETURN - EXCELLENT CONDITION - LEASED FROM WASECA CHRYSLER!!! 3.6L V6 ENGINE, AWD, HEATED LEATHER SEATS/STEERING WHEEL, MOON ROOF/SUNROOF, POWER DRIVERS SEAT, REMOTE START, AM/FM/SIRIUS SATELLITE RADIO/BLUETOOTH COMPATIBLE, POWER WINDOWS/LOCKS, SPEED CONTROL, AC, 18 ALLOY WHEELS, PLUS MUCH MORE........................................PRICE INCLUDES $1000 FINANCE REBATE - MUST FINANCE WITH WASECA CHRYSLER TO QUALIFY!!! FACTORY CERTIFIED AND INSPECTED AND PROTECTED WITH 7 YEAR/100,000 MILE WARRANTY - Chrysler Capital 1 Owner Lease Return - Excellent Condition - Loaded with Moon Roof/Sunroof!!! 2.4L 4 Cyllinder Engine, 4x4, Navigation, Heated Seats/Steering Wheel, Remote Start, Power Windows/Locks, Power Drivers Seat, Alloy Wheels, plus much more..............................Price includes $1000 Finance Rebate - Must finance with Waseca Chrysler to Qualify!!! FACTORY CERTIFIED AND INSPECTED AND PROTECTED WITH 7 YEAR/100,000 MILE WARRANTY, - 1 OWNER CHRYSLER CAPITAL LEASE RETURN - EXCELLENT CONDITION WITH 3RD ROW SEAT!!! 3.6L ENGINE, FWD, AM/FM/SIRIUS SATELLITE RADIO/BLUETOOTH COMPATIBLE, HEATED LEATHER SEATS/STEERING WHEEL, REMOTE START, 8.4 TOUCHSCREEN, ELECTRONIC TEMP CONTROL, BACK-UP CAMERA, POWER WINDOWS/LOCKS, SPEED CONTROL, AC, PLUS MUCH MORE........................................PRICE INCLUDES $1000 FINANCE REBATE - MUST FINANCE WITH WASECA CHRYSLER TO QUALIFY!!! FACTORY CERTIFIED AND INSPECTED AND PROTECTED WITH 7 YEAR/100,000 MILE WARRANTY - CHRYSLER CAPITAL 1 OWNER LEASE RETURN - EXCELLENT CONDITION!!! 3.2L V6 ENGINE, 4X4, TRAILER TOW PACKAGE, POWER DRIVERS SEAT, 8.4 TOUCHSCREEN, AM/FM/SIRIUS SATELLITE RADIO/BLUETOOTH COMPATIBLE, HEATED SEATS/STEERING WHEEL, REMOTE START, POWER WINDOWS/LOCKS, POWER DRIVERS SEAT, ALLOY WHEELS, PLUS MUCH MORE..............................PRICE INCLUDES $1000 FINANCE REBATE - MUST FINANCE WITH WASECA CHRYSLER TO QUALIFY!!! FACTORY CERTIFIED AND INSPECTED AND PROTECTED WITH 7 YEAR/100,000 MILE WARRANTY - CHRYSLER CAPITAL 1 OWNER LEASE RETURN - EXCELLENT CONDITION - LOADED WITH NAVIGATION AND PANORAMIC MOON ROOF/SUNROOF!!! 3.2L V6 ENGINE, 4X4, NAVIGATION, HEATED AND COOLED SEATS, HEATED STEERING WHEEL, REMOTE START, POWER WINDOWS/LOCKS, POWER DRIVERS SEAT, ALLOY WHEELS, PLUS MUCH MORE..............................PRICE INCLUDES $1000 FINANCE REBATE - MUST FINANCE WITH WASECA CHRYSLER TO QUALIFY!!! FACTORY CERTIFIED AND INSPECTED AND PROTECTED WITH 7 YEAR/100,000 MILE WARRANTY - CHRYSLER CAPITAL 1 OWNER LEASE RETURN - EXCELLENT CONDITION - LOADED WITH NAVIGATION!!! 3.2L V6 ENGINE, 4X4, NAVIGATION, HEATED AND COOLED SEATS, HEATED STEERING WHEEL, REMOTE START, POWER WINDOWS/LOCKS, POWER DRIVERS SEAT, ALLOY WHEELS, PLUS MUCH MORE..............................PRICE INCLUDES $1000 FINANCE REBATE - MUST FINANCE WITH WASECA CHRYSLER TO QUALIFY!!! FACTORY CERTIFIED AND INSPECTED AND PROTECTED WITH 7 YEAR/100,000 MILE WARRANTY - CHRYSLER CAPITAL 1 OWNER LEASE RETURN - EXCELLENT CONDITION - LOADED WITH NAVIGATION AND PANORAMIC MOON ROOF/SUNROOF AND TRAILER TOW - NEW TIRES!!! 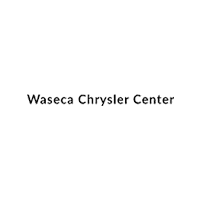 3.2L V6 ENGINE, 4X4, NAVIGATION, HEATED AND COOLED SEATS, HEATED STEERING WHEEL, REMOTE START, POWER WINDOWS/LOCKS, POWER DRIVERS SEAT, ALLOY WHEELS, PLUS MUCH MORE..............................PRICE INCLUDES $1000 FINANCE REBATE - MUST FINANCE WITH WASECA CHRYSLER TO QUALIFY!!! FACTORY CERTIFIED AND INSPECTED AND PROTECTED WITH 7 YEAR/100,000 MILE WARRANTY - EXCELLENT CONDITION - 1 OWNER VEHICLE- PURCHASED NEW AT WASECA CHRYSLER!!! 5.7L V8 HEMI ENGINE, 4X4, TRAILER BRAKE CONTROL, REMOTE START, CHROME RUNNING BOARDS, SPRAY IN BED LINER, 20 CHROME CLAD ALLOY WHEELS, POWER SLIDING REAR WINDOW, 8.4 TOUCHSCREEN, AM/FM/SIRIUS SATELLITE RADIO/BLUETOOTH COMPATIBLE, POWER DRIVERS SEAT, POWER WINDOWS/LOCKS, SPEED CONTROL, PLUS MUCH MORE.....................................PRICEINCLUDES $1000 FINANCE REBATE - MUST FINANCE WITH WASECA CHRYSLER TO QUALIFY!!! FACTORY CERTIFIED AND INSPECTED AND PROTECTED WITH 7 YEAR/100,000 MILE WARRANTY - Excellent Condition - 1 Owner Vehicle from Central Iowa - Hard to find 3.0L Eco Diesel!!! 3.0L V6 Eco Diesel, 4x4, Navigation, Anti-Spin Differential, Heated Clothe Bucket Seats/Steering Wheel, Remote Start, Soft Tonneau Cover, Black Running Boards, 20 Chrome Clad Alloy Wheels, Power Sliding Rear Window, 8.4 Touchscreen, Am/FM/Sirius Satellite Radio/Bluetooth Compatible, Power Drivers Seat, Power WIndows/Locks, Speed Control, plus much more.....................................Price includes $1000 Finance Rebate - Must finance with Waseca Chrysler to Qualify!! !